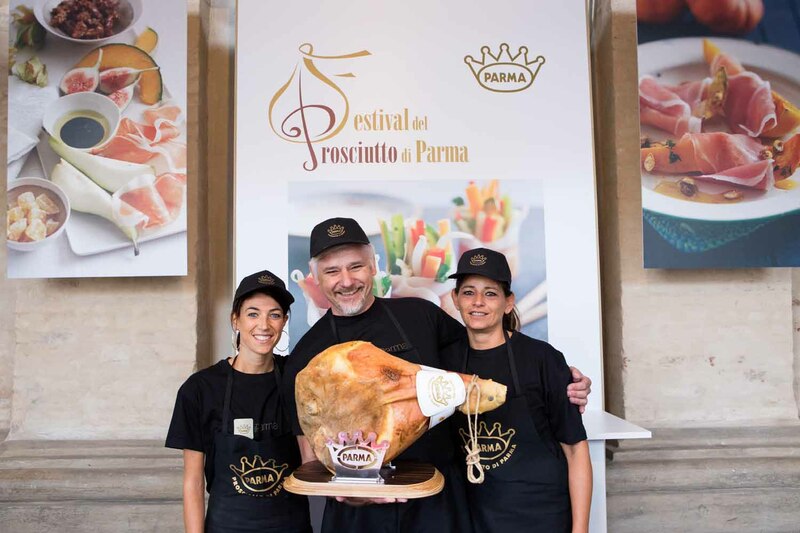 Just a few more days before starting the 17th year of the Parma Ham Festival, great festivities consisting of good food, music and culture to celebrate and taste the King of Hams and to appreciate the nature and cultural attractions of the region. 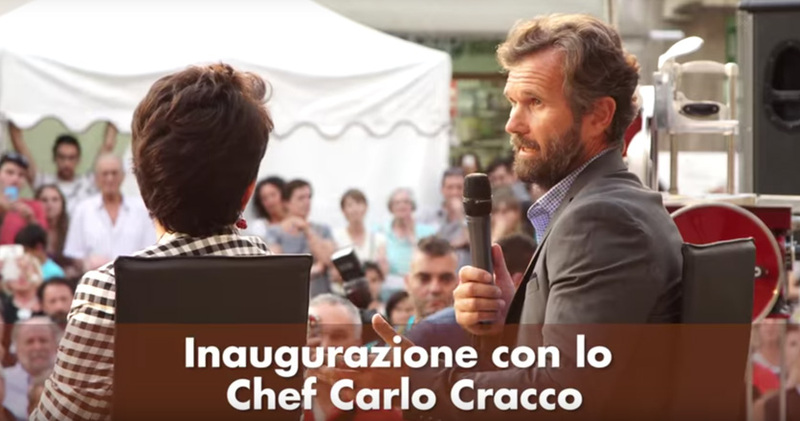 The official inauguration is in fact set for Friday 5th September in Langhirano at 18:30, in Piazza Ferrari. 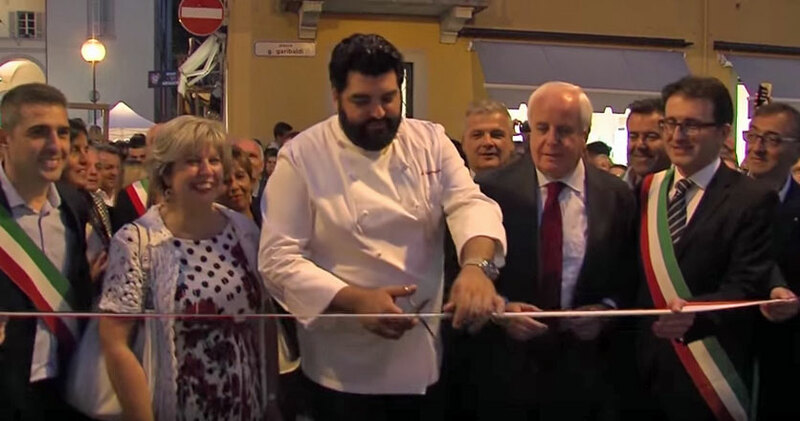 Then the Prosciutterie (Ham Shops) and “Sleepless Ham night” will open with lots of music and entertainment in the streets. 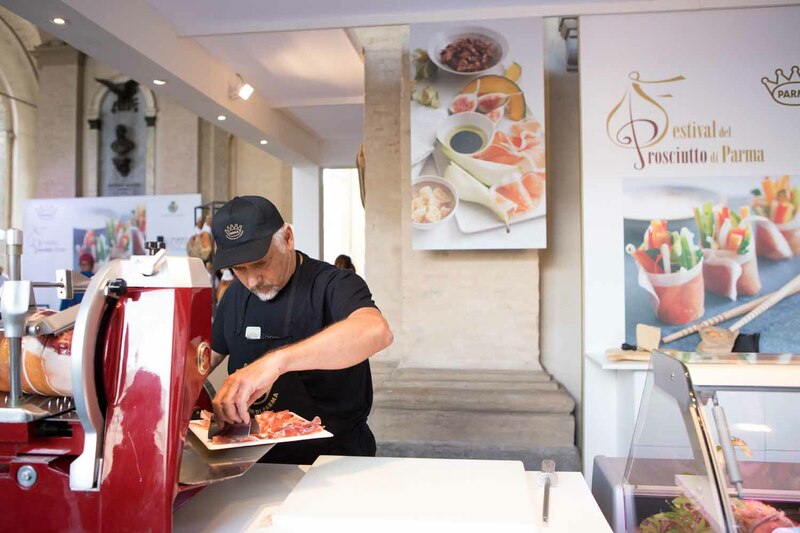 This year too, the Parma Ham Festival will give a week longer to all enthusiasts and will be able to count on the coordination of Fiere di Parma where the Camper Show (13-21 September) will also take place, and the Info Festival Point stand will be set up to provide information on the programme of initiatives of the Municipalities, “Finestre Aperte” (open “doors”) and the bus shuttle service. 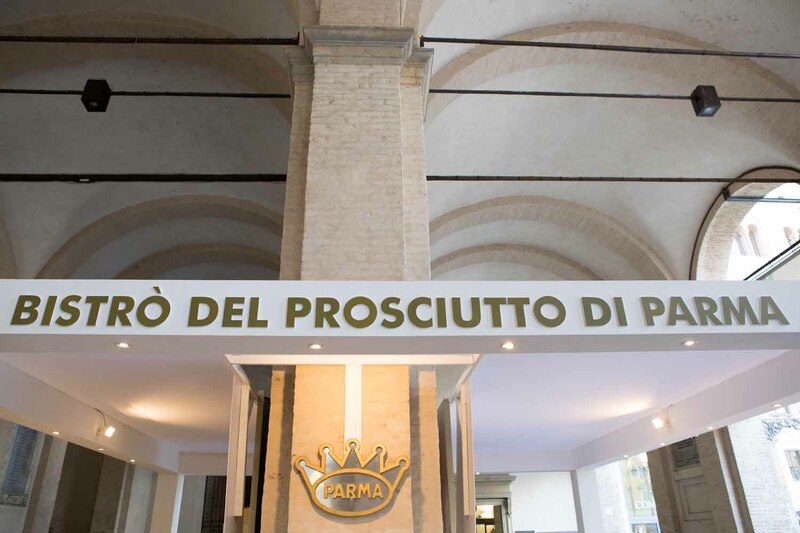 The first one remains Open Doors, the principal event of the festival that attracts a large public of enthusiasts each year: the producers will open the doors of the ham factories to guide visitors towards discovering the secrets of the production process and breathing the fragrances of the Parma Ham “cathedrals”. 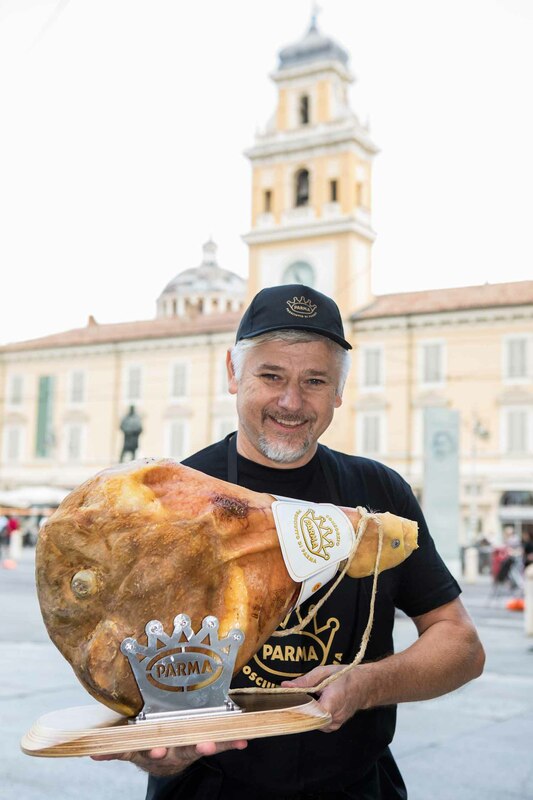 There will be a free bus shuttle service for the 17th year too (Info and shuttle booking: leaving from Parma city, IAT Municipality of Parma, tel. 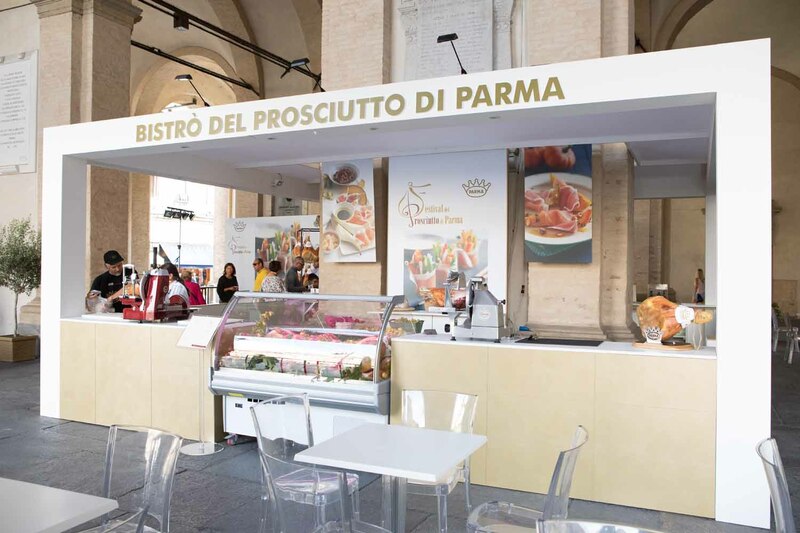 +39 0521 218889 – 218855; turismo@comune.parma.it; leaving from Fiere, PuntoInfoFestivaldelProsciutto, Fiere di Parma, from 13th to 21st September, tel. +39 0521 996653) that will take visitors to the production area. 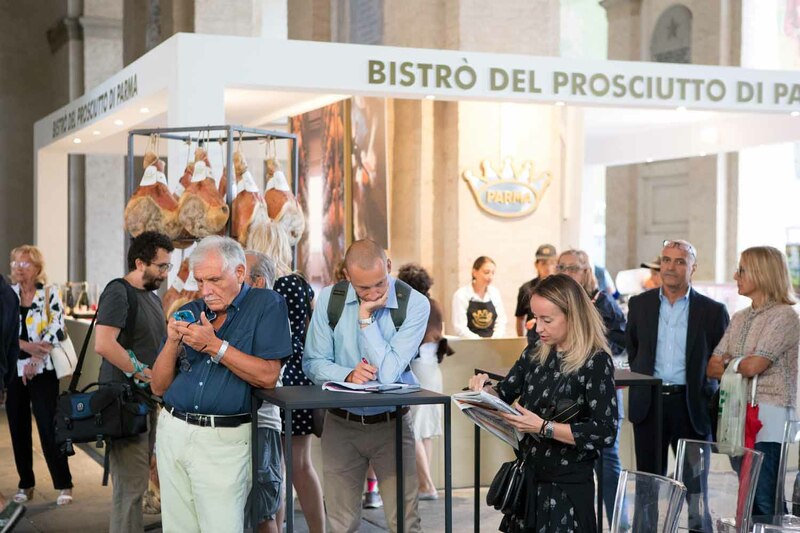 There will be many chances to taste Parma Ham in the many prosciutterie (ham shops) present in the squares of the municipalities taking part in the initiative and in Amici del Festivalrestaurants that will offer special menus and theme gastronomic proposals. 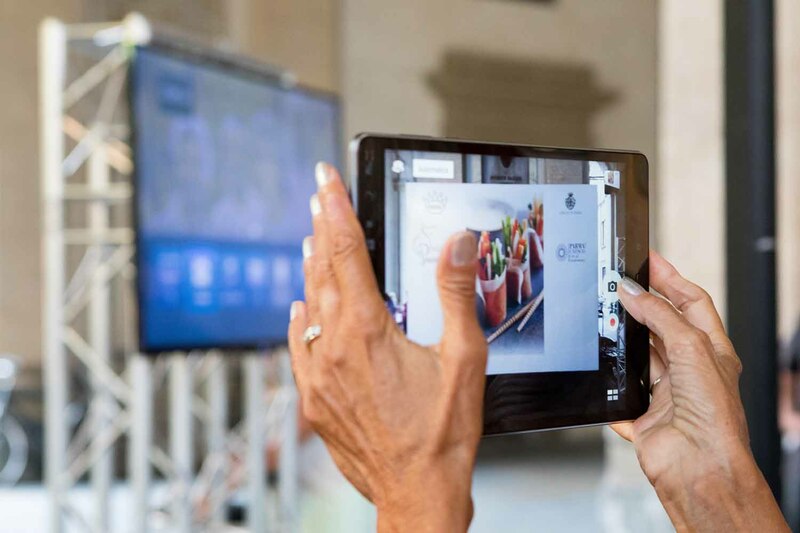 Not to be missed are the events of Sunday 7th in Langhirano and Sunday 14th in Parma withUn Panino da Re, the initiative promoted throughout the world by the good taste on-line newspaper INformaCIBO within the scope of the vaster international fair La Cucina Italiana nel Mondo, sponsored by Expo 2015: star rated chefs and food bloggers will confront each other in a battle of recipes to prepare tasty rolls that will have Parma Ham as their majestic ingredient. 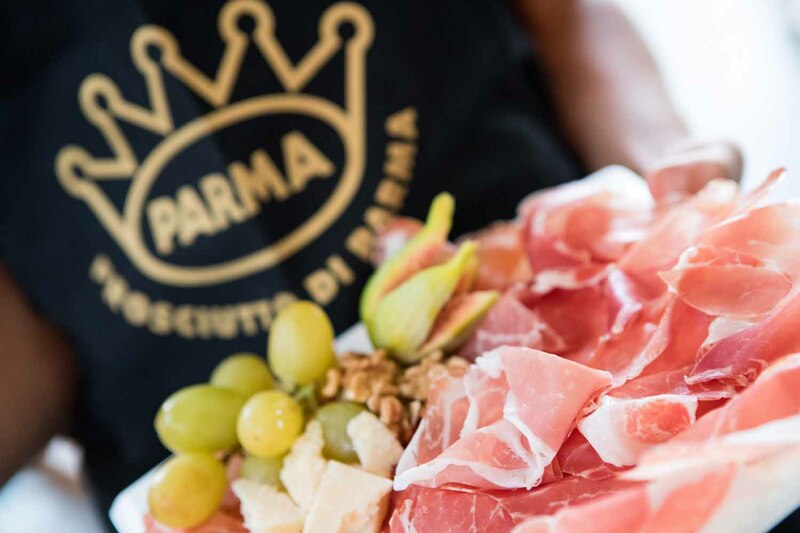 To become a Parma Ham taster there will be a theory and practical training course that will allow participants to acquire historical and nutritional competence, describe the organoleptic and sensory characteristics of Parma Ham and study its pairing with the most appropriate wines. 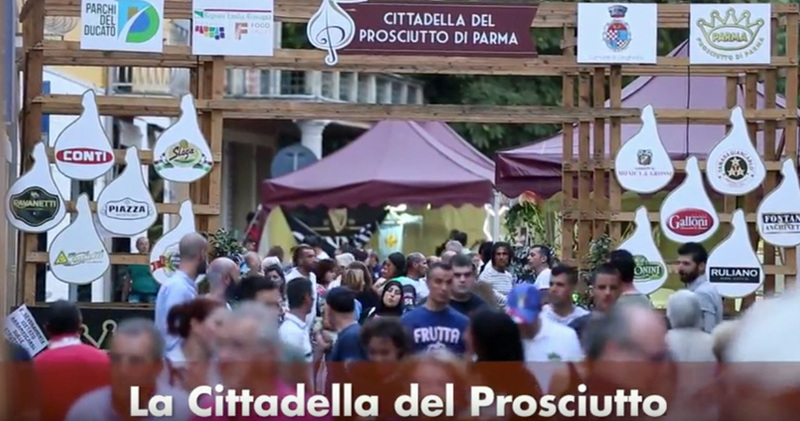 Besides the many taste pilgrimages, the Festival offers lots of other things. 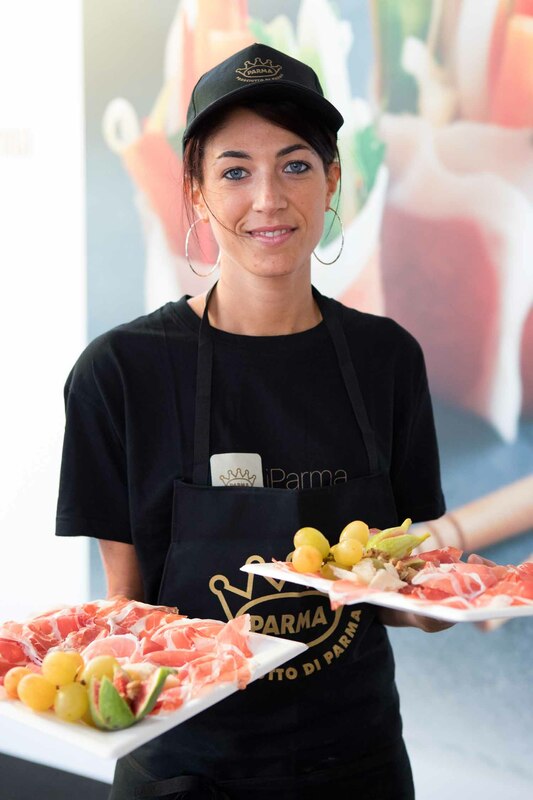 All are chances to visit a beautiful city like Parma and its magnificent region. 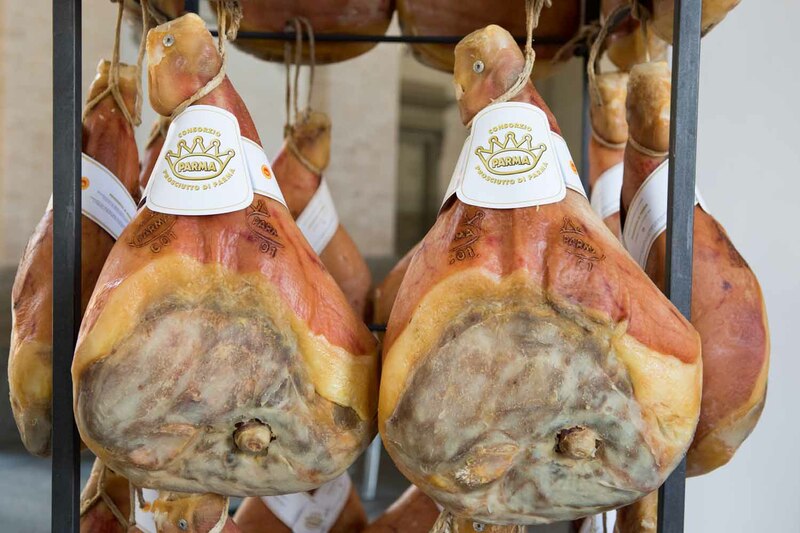 Of the shows, we certainly must mention “Emilia Romagna per quella via che sfoglia racconti d’impasti e di ripieni” (Emilia Romagna along the way that browses through stories about doughs and fillings) with Matteo Belli, within the scope of the “Via Emilia, un’Estate ripiena di bontà” (Via Emilia, a summer full of excellence) event in collaboration with the Emilia Romagna Region; the much awaited concert of Goran Bregovic will be held in Langhirano. 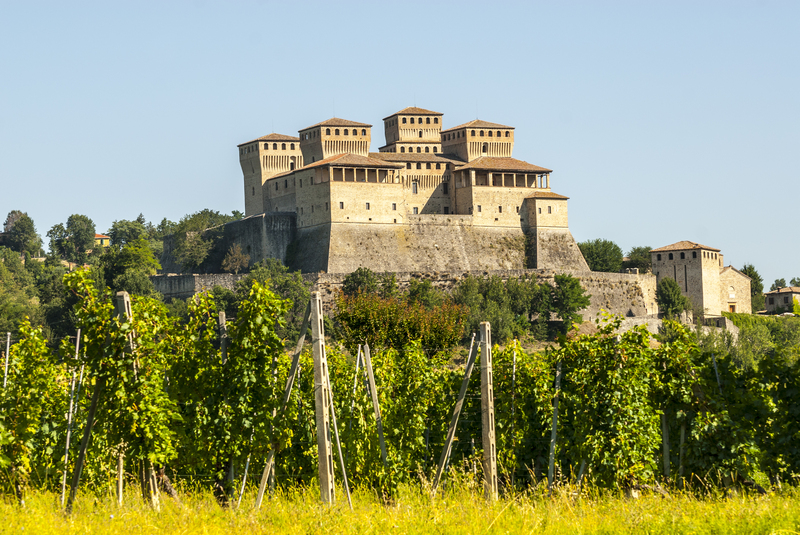 Of the numerous excursions in contact with nature, we should mention the Salti del Diavolo, a spectacular sedimentary formation of huddled rock needles and walls; and also the Summer Trail of Parma Ham, a 22 km running race in semi-self-sufficiency that unwinds between the hills of Sala Baganza, San Vitale Baganza, Cafragna and Maiatico. 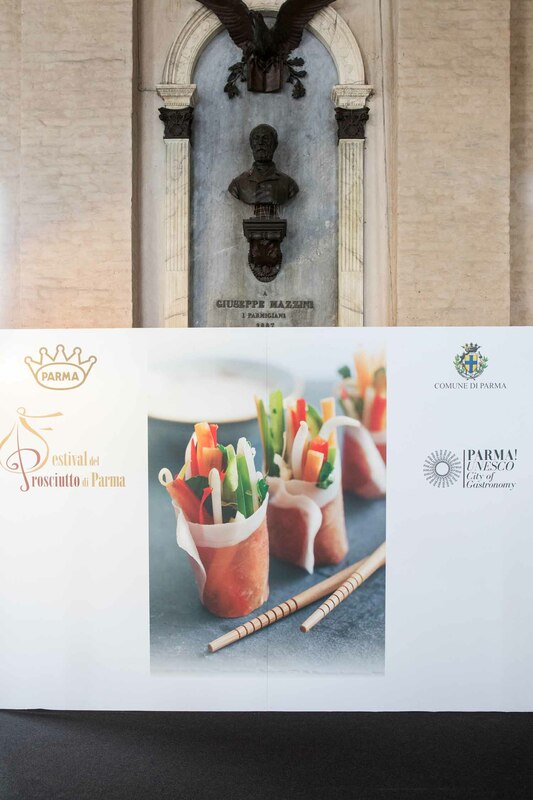 There will be the involvement of some food bloggers in an evening dedicated to the presentation of the 17th year of the Festival and its many initiatives in an original location, the gastronomy temple, Peck, a picturesque location for tasting Parma Ham. 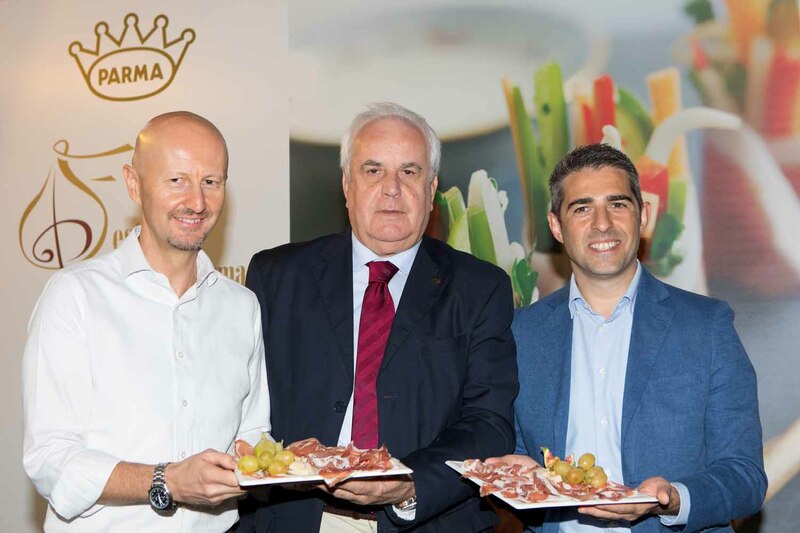 The presence of theinternational press, engaged in a training tour to discover Parma Ham, its history and its sweet tasty flavour, is guaranteed this year too.